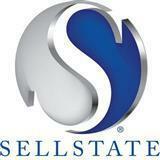 Dori Mackoul Dekle is Managing Broker of the Sellstate High Performance Realty team of professionals. 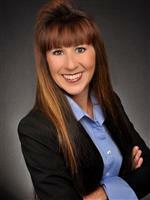 She has been a REALTOR for 18 years and a Broker-Associate for 12 years. Her real estate experience extends from New Construction, Relocation, Single and Multi-family residence, Condominiums, Town Homes, Waterfront, First Time Home Buyers, Investors, and Commercial properties. She graduated locally from FCCJ with an Associates of Arts in Accounting and Economics. She was trained as a private pilot in Springfield, MO., and completed her Real Estate training in Jacksonville. Prior to Real Estate, she was an operations manager for a multi-facility animal hospital that incorporated five businesses under one roof. She is not afraid of hard work. Her strengths include her ability to work well with the public, her ability to learn quickly, and excellent communication skills. She is honest, trustworthy, and has a zest for life that leaves her always open to new endeavors. Ready to BUY or SELL? Contact me Today!